Smartphones have transformed the way we capture and share photos and videos. Now, cameras and apps provide everyone with the ability to crank out high quality images and videos at a rapid clip, so even your grandmother can channel her inner Christopher Nolan from a device that fits in her purse. Among the hottest phones on the market right now is the Samsung Galaxy S9. 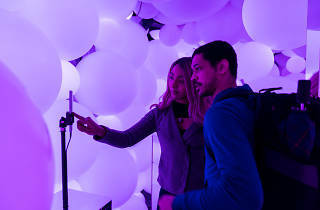 At the brand’s flagship New York City space, Samsung 837 in the Meatpacking District, you can participate in a slate of events aimed at helping techies, influencers and your aforementioned granma to get the most out of the phone’s camera. Even if you don’t have an S9, you can sign up for one of Samsung’s Photo Sessions—they’ll lend you a phone to use for the day. Samsung phone experts are on hand at each of the events, where they highlight a different feature of the phone, and take you on an excursion to test that feature out, out in the world. Past excursions have included super slow motion sessions at the Chelsea Batting Cages, and low-lit cocktail photography sessions at a nearby speakeasy. One of the most intriguing aspects of these events is Samsung 837’s super low light booth, which looks like a trippy selfie dreamworld. 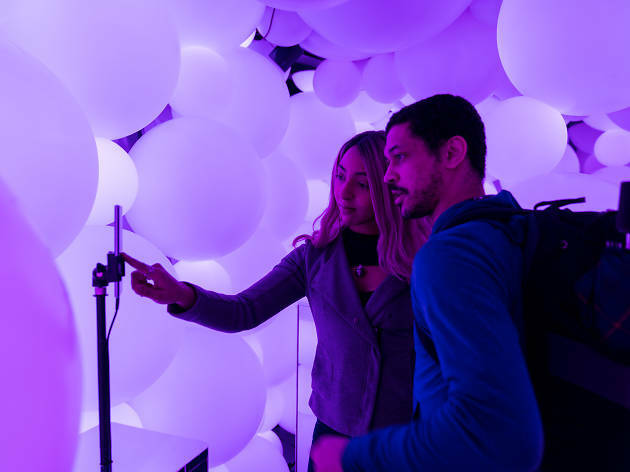 Guests can head into the space for an intimate, interactive walkthrough of the Galaxy S9’s bells and whistles, and walk out with enough know how to produce photos that look like they were taken in a professional studio. Those who want to attend can RSVP for free at the store’s website. If you want to turn your Instagram account from good to great, or just take a Galaxy S9 out for a road-test, these sessions are definitely worth attending.